Supporting a Shepton Mallet charity. 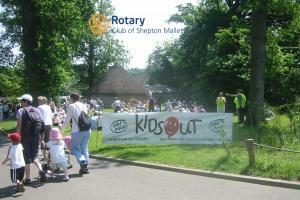 Rotary Shepton Mallet - welcome! Please scroll/swipe down through this page to find out more about us, in addition to the pages linked in the menu, top-left. 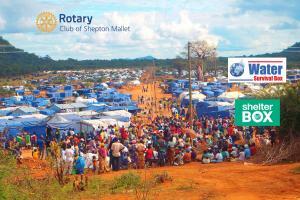 Shepton Mallet Rotary Club was chartered in 1949 and has been "making a difference" for 69 years, both in our own community in the Shepton Mallet area, in Somerset and around the world. 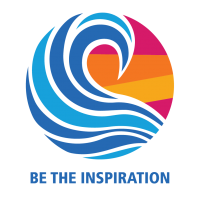 You can find examples of what we do on this website, our Club needs to continually evolve and renew to continue the work we do, but we also have fun. 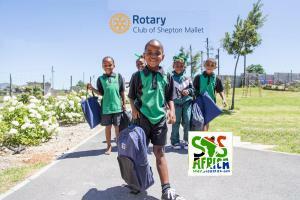 I welcome you to see "if you can make time for Rotary". Contact me via the link at the foot of this website, attend a meeting, find out more of what we do.